Arms sales are always for enhancement of self-interest of the seller country, they are primarily for the furtherance of own strategic and commercial interests. The strategic reasons include widening of areas of influence vis-a-vis a perceived adversary, a projection of power in the desired region, quid pro quo proposition in times of hostilities through utilization of recipient’s military facilities and resources or for gaining political upper hand in international bodies. Arms sales are invariably never without a hidden agenda on the part of the seller. The sales are justified under the garb of strengthening self-defense capabilities of the recipient or providing support against an adversary. The commercial interests include furtherance of own defense manufacturing capabilities, enhancement of the profits accrued to its own defense industries or as a quid pro quo for other products of interest from the recipient. This article takes in to account only the certified arms sales as recorded by Stockholm International Peace Research Institute (SIPRI) and does not detail political, social, educational or other soft-influence approaches in the Pacific region by China. The article considers a towering influence of the United States in the Pacific region since the second world war as a given and hence the arms sales by the United States (U.S.) are not discussed vis-à-vis China. Further, an attempt has been made to indicate to the rising Chinese influence in view of its sales of arms in the region so as to spur some timely corrective measures to ensure cooperative and collective freedom of the Pacific Commons. The countries considered in the article comprise South East Asia and South America. The American approach to the Pacific is largely an implementation of the thoughts of Mahan detailed in his book ‘The Interest of America in Sea Power, Present, and Future’ . He had held forth on the importance of the Sandwich Islands (Hawaii) for the Pacific, stating that they should be under the American control. He foresaw that the commercial shipping from Japan and China would pass near to the Hawaii island group and thus provide America a strong position in the Pacific to safeguard its maritime interests. He had said that Hawaii forms the center of a circle of about 2100 nm radius in the Pacific, the periphery of which touches the archipelago system of Australia- New Zealand as well as the American west coast. The power which will hold Hawaii island group, in his opinion, would oversee the Pacific. It is for the simple reason that in case of hostilities the supply lines would stretch back to over 3000-4000 nm each way making such an assault against America unstainable. The United States had structured its maritime thrust into the Pacific along a virtual ‘arrowhead’ from its west coast to Hawaii on to Guam and thereafter to Taiwan. Further, the concept of Island chains was constructed utilizing island groups in the north-west Pacific during the cold war, to contain the spread of communism by the Soviet Union and China. Some distances which describe the US ~6940 nm arrowhead across the Pacific up till Taiwan are: San Francisco – Hawaii (Honolulu) ~2095nm; Hawaii (Honolulu) – Guam ~3333nm; Guam – Taiwan ~512 nm. With Hawaii and Guam as entrenched US naval bases and the fact that a warship can sail 600 nm per day at 25kts, the arrowhead is well established logistically to sustain prolonged operations from the west coast of the US. The allies would also provide unstinted support in times of inevitable hostilities in the region. Chinese view their seaboard frontier as seas of denied opportunities, seas where their access is perpetually under watch by inimical powers. The Chinese threat perception encompasses Japan in the north and Malacca in the south. The access to the SLOCS from the Gulf is overlooked by India right up to Malacca straits, thereafter by nations which have been under the western influence. Indian island Chain of Laccadives sits astride the important 9-degree channel SLOC and the Indian island chain of Andamans looks over the entry to Malacca Straits. It may be interesting to note that Singapore and Malaysian port of Penang lies just ~1176 nm and ~807 nm from Port Blair in Andamans. The construct of the island chains is viewed as an attempt by the Western Powers to inhibit its naval expansion to within the First Island Chain. Once China has started looking seaward it finds layers of obstruction lined up in the Pacific to dissuade it from becoming a modern Naval power. The Chinese aim in the Pacific appears to be; to overcome or pierce the island chains at their weak points by strengthening its onshore long-range missile capabilities and its naval might. Japan and Guam are considered the strongest components of the first and second Island Chains. Taiwan and Philippines are relegated to a weak component status. However, it is held that Taiwan needs to be in the Chinese fold for a strong grip on the seas. The US-Japan-Australia-India ‘quad’ (with France in support), if and when it takes concrete shape, would definitely be taken as an attempt to thwart Chinese ambitions of attaining global power status in its envisaged multipolar world. The positioning of road/rail mobile Anti-Ship Ballistic Missiles (ASBM) DF-21 D and DF-26 C in the recent past is to put a serious deterrent in place to thwart any intimidating attempt by the U.S. Navy. It is claimed that the DF 21 D (CSS-5 Mod 5) has a range of ~1,500 km and is armed with a Manoeuvrable Re-entry Vehicle (MaRV). DF 21 D has the ability to attack large ships like the aircraft carriers. DF-26 has a claimed range of 3,000-4,000 km enough to strike Guam.It is estimated that China has command, control, communications, computers, intelligence, surveillance, and reconnaissance (C4ISR) capabilities required for targeting ships at sea. However, ASBMs also require over-the-horizon (OTH) targeting support that can integrate target information from multiple sources. Once fully deployed the Chinese ASBM system-of-systems would be the world's first system  capable of targeting a moving carrier group with long-range ballistic missiles fired from land-based mobile launchers and would pose a grave threat to the US forces and bases in the region. China appears to be forging along a strategic trajectory in the Pacific in that it is developing its Navy to blue water capabilities, upgrading its land-based ballistic missiles to target mobile assets of the adversary with conventional and nuclear warheads at great ranges, and courting countries in and across the Pacific through Arms sales to build up sympathetic logistic linkages to counter US influence. It is opined that China would keep building up its military might and its cross-Pacific network through the sale of arms and/or dole of economic benefits to nations till such time that Taiwan comes firmly in its fold thereafter it could plan for making a bold move in the Pacific to challenge the US power. Chinese arms and weapons are in demand as China has started supplying modern equipment which can meet the economic requirements of middle and lower tier countries. The arms are cheap, reasonably reliable and are supplied with access to easy term loans from Chinese banks. 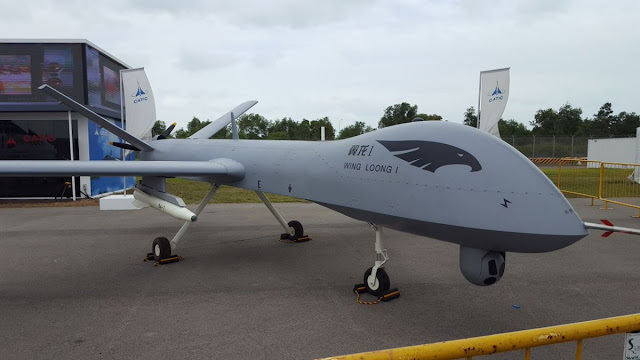 Chinese unmanned aerial vehicles and cruise missiles are considered nearly as good as those offered for export by western countries. This has made China a leading arms supplier across the globe. It is understood that the guiding tenets of China’s arms export include, non-interference in internal matters of the country like its political or human rights record; perceived strengthening of the recipient’s self-defense capabilities; and bringing about regional arms balance. China also offers transfer of technology which makes countries gain a degree of self-reliance and allows development of their own defense industry. Whether the loans offered to push the recipients into a debt trap or force it to part with its resources or make it pliable to extract military gains for China is yet to be seen. The fact that the importing country becomes politically indebted to China cannot be denied, even when a country is hedging or diversifying its sources of arms import, as it would definitely adopt a more benign stance where China is concerned. 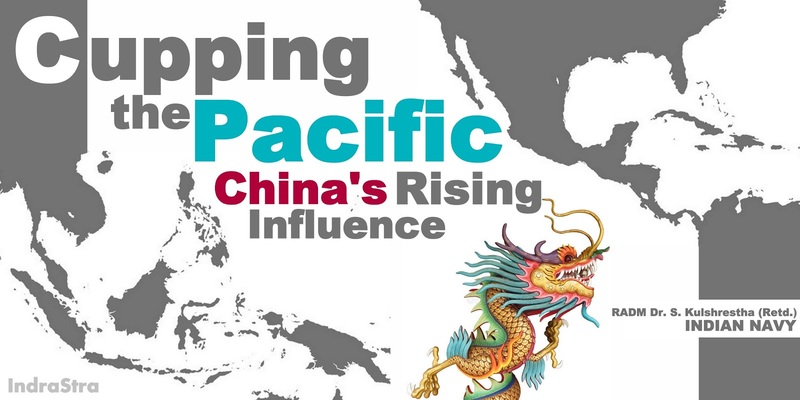 The major countries where China seeks influence in the Pacific are those in SE Asia, Oceania, and countries in South America. China has arms trade with seven of Southeast Asia’s countries namely Indonesia, Myanmar Thailand, Malaysia, Cambodia, Laos, and Timor-Leste. Indonesia - Surface to Air Missiles (SAM), Anti-Ship Missiles (ASM), Naval Guns, Close-in weapon system (CIWS), Anti-Aircraft Guns (AA Guns), Multi-Rocket Launchers (MRL), various Radars, Unmanned Combat Aerial Vehicles (UCAV), Unmanned Aerial Vehicles (UAV). Myanmar - Frigates, various Radars, ASM, Trainer/combat aircraft, Naval Guns, Main Battle Tanks (MBT), MRL, UAV, UCAV, SAM, Transport aircraft, Fifth generation aircraft J-17, Armoured Fire Support Vehicle (AFSV), Armoured Personnel Carrier(APC). Image Attribute: A JF-17/FC-1 Fierce Dragon (Jointly developed fighter by China and Pakistan) seen with the insignia of the Myanmar Air Force (MAF) on its tail conducting test flights in Chengdu, China. Date: July 25, 2017. | Inset: the JF-17B two-seater. Image Attribute: CGI Image of Chinese LMS. 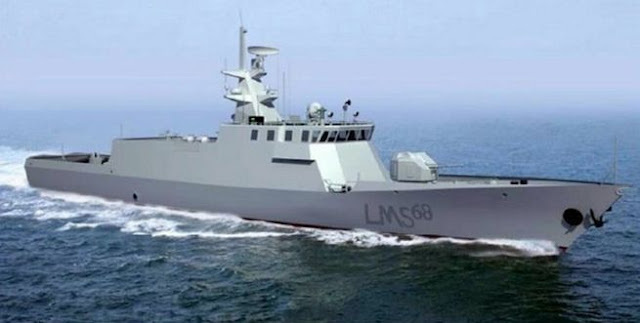 18 LMS are planned for Royal Malaysian Navy (RMN). 4 of them are under construction. Similar to Chinese-made Bangladesh Navy's Durjoy-class LMS, the two such ships will be built in China and the rest in Malaysia. Armament: Including guns, missiles, and torpedo according to the role assigned. The deal was signed on November 1, 2016, between Malaysia's Prime Minister Najib Razak and China's Premier Li Keqiang at the Great Hall of the People, in Beijing, China. Thailand - Self-propelled MRL, ASM, Artillery Locating Radar/Weapons Locating Radar, SAM, Tank, Submarines, Infantry Fighting Vehicle (IFV), Anti-ship and Anti-Submarine Warfare(ASW) torpedoes. 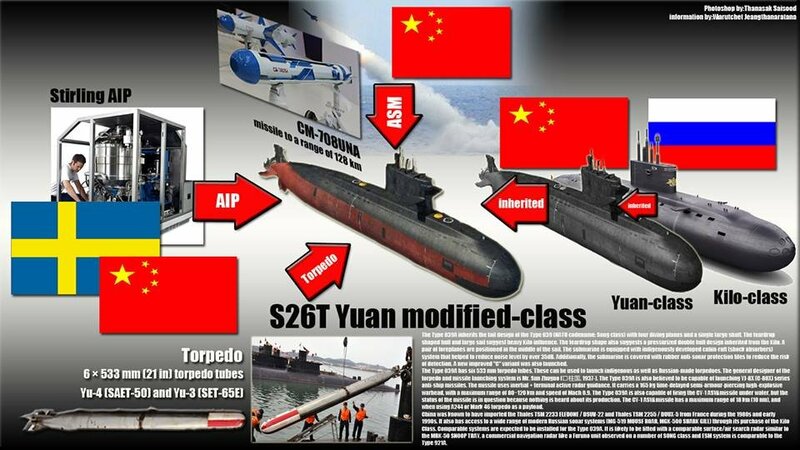 Image Attribute: The Chinese S-26T Yuan-class Submarine for Royal Thai Navy. Thailand's cabinet approved one submarine purchase on April 18, 2017. A budget of 13.5 billion baht ($393 million) has been earmarked for the 3 S-26T Yuan-class submarine over a six-year period. 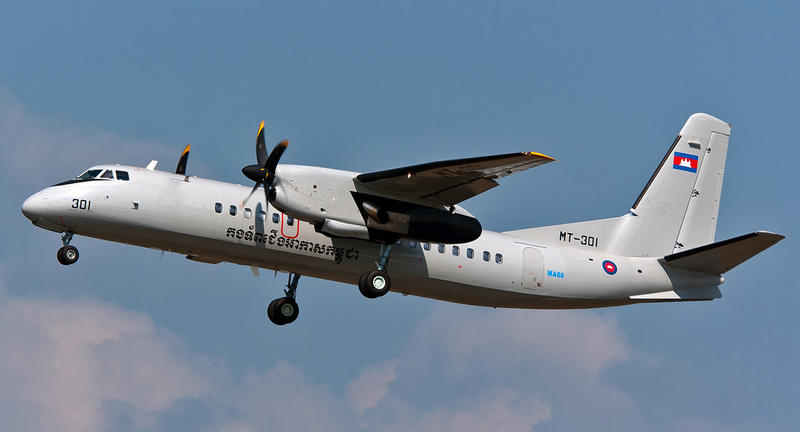 Image Attribute: The photo of Harbin H-425 registration number - MH-902 operated by Kangtrop Akas Khemarak Phumin (Royal Cambodian Air Force) taken by Michal Hergott. 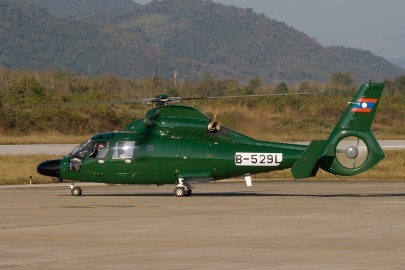 The helicopter is one of 12 helicopters Cambodia bought from China in the year 2013, to boost its military capacity. Image Attribute: The photo of Xian MA-60 registration MT-301 operated by Kangtrop Akas Khemarak Phumin (Royal Cambodian Air Force) taken by Michal Hergott. Two MA60s have been operated by the Royal Cambodian Air Force since 2012. Image Attribute: The photo of Harbin H-425 registration number - B-529L operated by Lao People's Liberation Army Air Force (LPLAAF). Total 5 in service. Image Attribute: The photo of Xian MA-60 registration RDPL-34026 operated by Lao People's Liberation Army Air Force (LPLAAF). Total 2 in service. 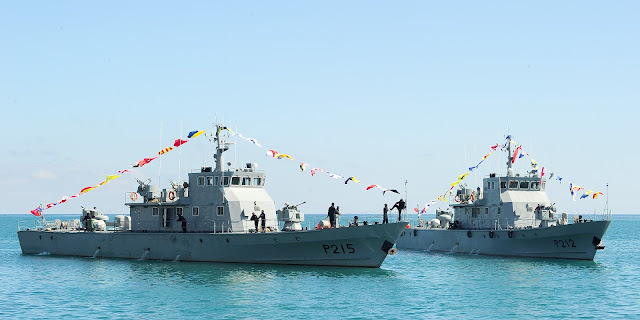 Image Attribute: The Jaco class is a class of two patrol boats operated by the Timor Leste Defence Force's Naval Component. The boats were built in China to the Type 062 class gunboat (also known as the Shanghai II class) design. The two boats are named Jaco and Betano and were commissioned into East Timorese service in late June 2010. 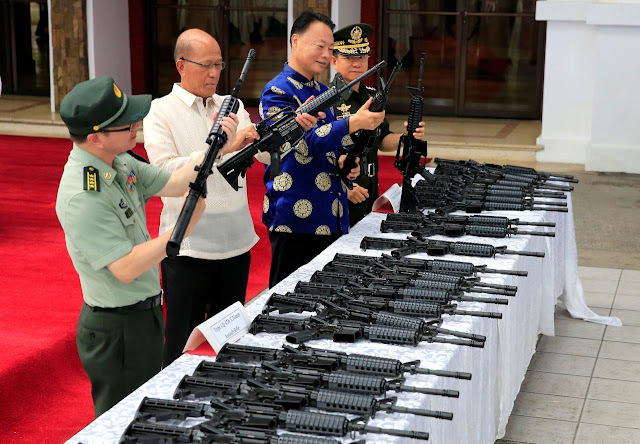 As far as the Philippines is concerned, China has recently donated 3000 Type CQ- A5b 5.56mm assault rifles (an unlicensed Chinese variant of the M16 rifle manufactured by Chinese state-owned arms manufacturer - Norinco) for tackling the drug mafia. ‘China is not just filling a political vacuum created by Western neglect…. [i]t is incorporating the Pacific islands into it's broader quest to become a major Asia-pacific power with a long-term goal to replace the US as the preeminent power in the Pacific Ocean’. Among the Pacific rim countries, Chinese relations with Australia and New Zealand have been very good traditionally, however, there has been a turbulence with respect to Australia in the recent past. Its relations with Tonga have raised eyebrows in the neighborhood since it has a population of only 300-400 Chinese people and offers practically no economic benefits apart from its vast unexplored Exclusive Economic Zone (EEZ) and fishery resources. A word about the maritime importance of Tonga would not be out of place here. Tonga has a settlement history of over 3000 years based upon the discovery of Lapita pottery fragments on the islands. Lapita people are now supposed to be the ancestors of the Polynesian people. The Lapita people were considered to be proficient sailors and expert navigators. The Polynesian people succeeding Lapita settlers were great sailors and sea warriors. Tongans also continued the seafarers’ legacy and excelled in building large bi-hulled, 20-30-meter-long, Kalia sailing crafts. The structure of the Kalia was unique in that it had one larger and one smaller hull. Stability could be achieved with the smaller hull rising with the ocean swell and the larger hull dipping in the swell. They were joined by a platform forming a sort of bridge. The Tongans have been crisscrossing the Pacific islands regularly over the past three millennia. In fact, it is said that no Fiji boat ventured to and from Tonga without Tongan sailors on board. The Tongans procured stone tooling from Fiji, Society Islands, and Samoa.Tonga had also become a trading hub during the past millennia. Tongan waters have been a witness to one of the most filmed mutinies at sea amidst its Ha’apai island group, namely "the Mutiny on the Bounty". Tonga, today, sits astride the SLOC from Asia to South America & Australia/New Zealand to the US and has underground sea cables running through its EEZ. It also has rights to a number of satellite launch sites . The area has a large number of airstrips and ports. Keeping the above in view, it does not appear that Chinese largesse towards these islands is a display of its charitable and humane side.It is Tonga’s strategic location on the third island chain that could be the more likely reason for the Chinese strategic foray into the region. It is noteworthy that China has not only made arms sales to SE Asian countries and is making friendly overtures in Oceania but that it has also made deep inroads through arms sales in South America. Significantly, it has sold arms to Venezuela, Peru, Argentina, Ecuador, Bolivia, and Trinidad & Tobago. Venezuela - Radars, Trainer/combat aircraft, Short Range Air-to-Air Missiles (SRAAM), Transport aircraft, self-propelled MRL/Mortar, infantry fighting vehicles (IFV), Armoured Protected Vehicles (APV), Armoured personnel carriers (APC), light tanks, ASM. 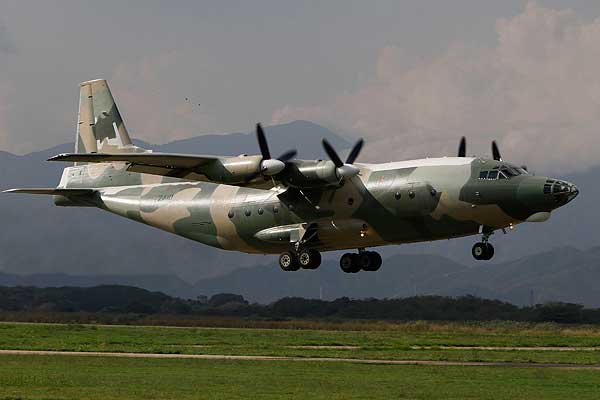 Image Attribute: Venezuelan Shaanxi Y-8F200VV four-engine turboprop tactical military transport aircraft. Currently being deployed with the American C-130H Hercules. 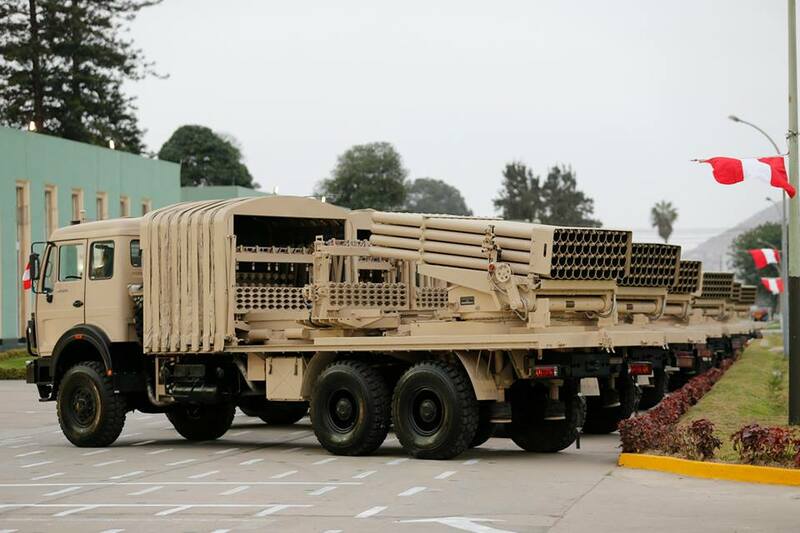 Image Attribute: In July 2015, Peruvian Army acquired 27 Chinese Type 90B 122mm Rocket System to replace its BM-21. Image Attribute: VN1 APC - in this photograph fitted with a 30 mm autocannon in a turret. 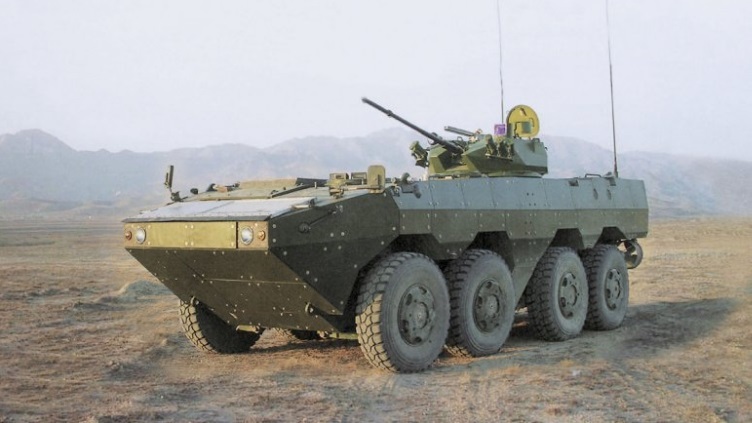 In 2015, Argentina ordered 110 Chinese VN1 APCs. The VN1 is an 8x8 wheeled and amphibious armored fighting vehicle, which is an export version of the ZBL-09 APC operated by the Chinese army. The Argentinan version is destined to be armed with a 12.7 mm heavy machine gun. The vehicle's armor provides protection against 12.7 mm armor-piercing ammunition at the frontal arc and all-around protection against 7.62 mm armor-piercing rounds. 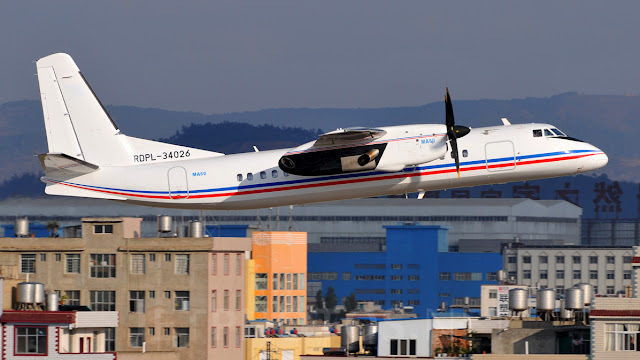 Ecuador - Air Search Radars, but the deal fell through in 2017. The plan to buy four radars from China for $60 million was canceled last year after Ecuador found they were incompatible with its military aircraft. Image Attribute: The file photo of Bolivian K-8 Karakorum Jet Trainer. 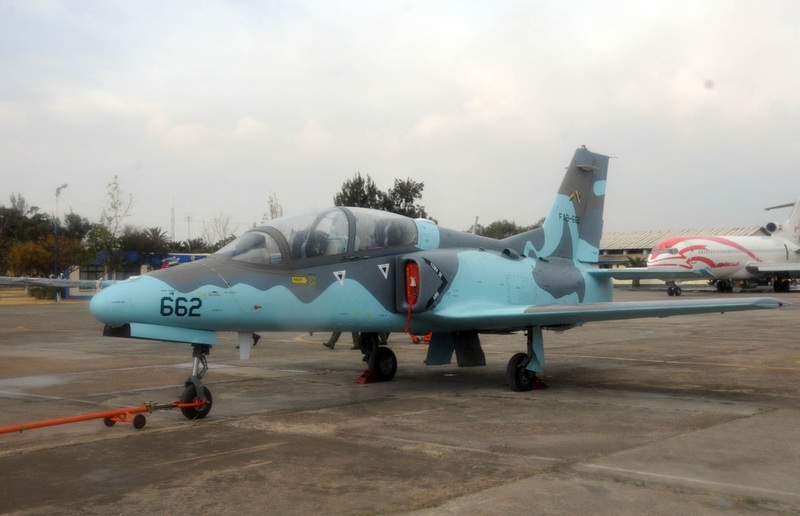 In 2011, Bolivia announced the procurement deal of six jets at a cost of US$58 million from China. 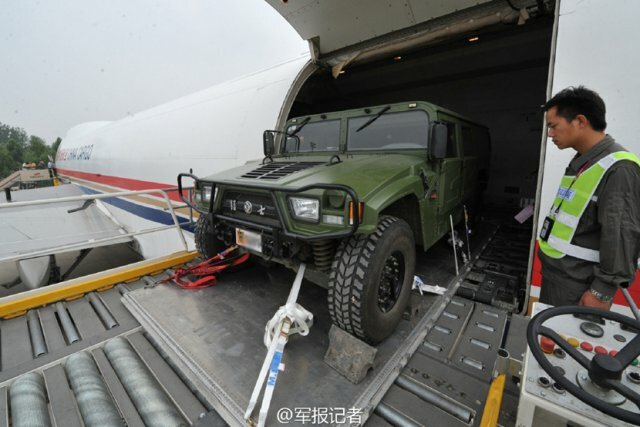 Image Attribute: In June 2015, China delivered 20 MengShi 4×4 (DFM EQ2050) army light utility vehicle, a Humvee copy. Strategically China has thus ‘cupped’ the Pacific by securing not only its southeastern shores and Oceania but also the western shores of South America. A Japanese peace treaty was signed on September 6, 1951, between 49 allied countries and Japan which also contained elements of regional security. A separate security treaty was signed between the U.S. and Japan on that day which made Japan’s economy, military, and diplomacy dependent upon the U.S. There was a slew of bilateral agreements and treaties thereafter which resulted in a loose and flexible collective security & cooperation structure in the region. The result was a hub and spoke structure with Japan, South Korea, Taiwan, the Philippines, Thailand, and Australia as spokes and the US as the hub. Historian John W. Dower coined the term San Francisco System (SFS) to describe this informal arrangement under the security umbrella of the United States. The SFS continues to this day in the absence of any other formal security structure covering the Pacific region. China has been working on the strategy of casting a strategic net across the seas with its arms sales which raises security concerns for nations directly or indirectly dependent upon sea trade. It has almost put in place a multi-polar power structure which would be difficult to dislodge. The string of pearls in the IOR has grown into a studded ‘Jade Necklace Across the Oceans’ with its pendant as the cupped Pacific. The Chinese arms sales should not be wished away as insignificant since the market share of the US remains undented, it should instead be assessed in terms of collapsing-strategic and geopolitical space of the US and its future ramifications. The option available today in the Pacific is striving for freedom of the Ocean commons and loosening the trade & economic web spun by China through strengthening the spokes in the San Francisco System. It may be worthwhile to look for additional spokes in the nearly 70-year-old system, especially in the third island chain. Island nations with a rich maritime heritage like Tonga offer a good strategic foothold and geostrategic advantage in the Pacific. For example, Tonga is ~3182 nm from US base at Guam, ~2752 nm from Hawaii, and ~1959 nm from Sydney. It has a large swath of uninhabited islands which can be utilized for security infrastructure. With the available sensor technologies innovative and cost-effective ISR, stations can be created which in turn would help in the development of the South Pacific Nations and wean them away from the influence of China. A new node in these islands nations offers the US the flexibility of using the existing seaports and airstrips as well as an alternate maneuvering and Staging Area. In turn, it could accrue scarce strategic space and strengthen the third island chain. Time to act is slipping away! Rear Admiral Dr. S. Kulshrestha (Retd. ), INDIAN NAVY, holds expertise in quality assurance of naval armament and ammunition. He is an alumnus of the NDC and a Ph.D. from Jawaharlal Nehru University, New Delhi. He superannuated from the post of Director-General, Naval Armament Inspection in 2011. He is unaffiliated and writes in defense journals on issues related to Armament technology and indigenization. On 4 January 1954, U.S. State Department Advisor John Foster Dulles propounded the Island Chain Concept, comprising of three island chains. The key component of the First Island Chain was Taiwan (it was thereafter christened as one of the Unsinkable Aircraft Carriers); it extended from northern Philippines & Borneo, up to the Kuril Islands. The second line of defense was from Mariana Island to Islands of Japan. The Third Chain’s key component was Hawaii; it began at Aleutians and ended in Oceania. Andrew S. Erickson. Chinese Anti-Ship Ballistic Missile Development and Counter-intervention Efforts Testimony before Hearing on China’s Advanced Weapons. Panel I: China’s Hypersonic and Manoeuvrable Re-Entry Vehicle Programs U.S.-China Economic and Security Review Commission, Washington, DC.23 February 2017. 'What Does China Want with Tonga? Featuring Gordon Chang & Cleo Paskal', online video, 2014, https://www.youtube.com/watch?v=K5vTeUJbN3M, (accessed 15 March 2018). China, Tonga agree to promote the strategic partnership. Xinhua. 24 Mar 2018.